Canada C8 metal body to be released! Arnies Exclusives, CANUCK’s everywhere get ready to grab one of these as they are only going to be released in limited numbers. 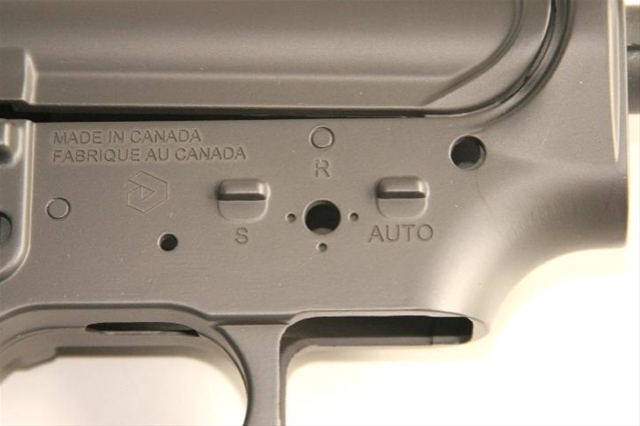 The markings will not be engraved but applied using a process called “edgeding” All the trades are 100% accurate to the real steel issued service rifle. Again these are going to be limited but the good news is the price looks like it is going to be under $100 USD but this has yet to be confirmed. As soon as I get new information I will let you know! Quicksilver U.S. Edition just arrived in the USA! Photos can be found here. 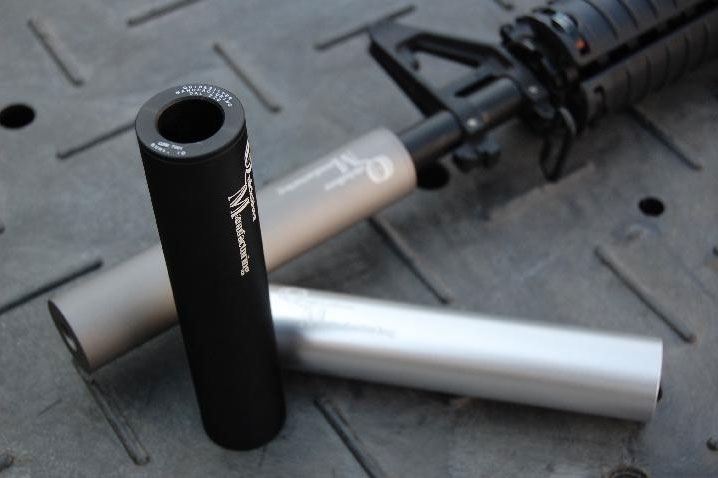 Products Details: Quicksilver TITANIUM* Series Toy Silencer (for non-US) and Solid Aluminum Tube (for US). Logo & trademark are licensed by Quicksilver. G&P has released some very interesting products, one of them which will appeal to all the players whom go for the anti-zombie look and particiate in Bio-Hazrd style games. Hello, we have release the following products. Jane from Modify has sent us some news on some new parts that they have just released. These seem top notch and even designed to address some manufacturing flaws in certain ACM guns. It looks like our standard spring guide, but a new design inside. 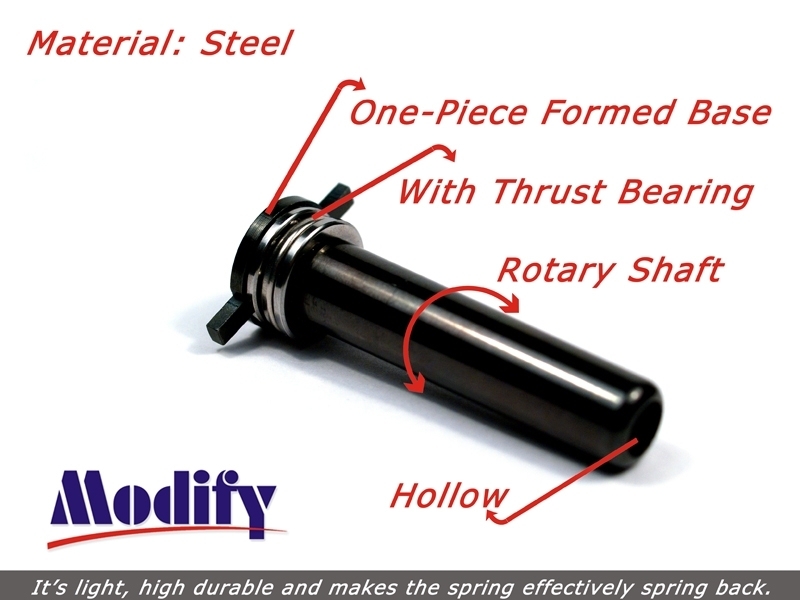 It is not only with a thrust bearing, but also with a rotary shaft, this to make the spring effectively spring back. It’s light and have a high durability. It is a technical art! Do you usually rub a metal bush to update your Jing Gong AEGs but waste a whole night doing nothing?? 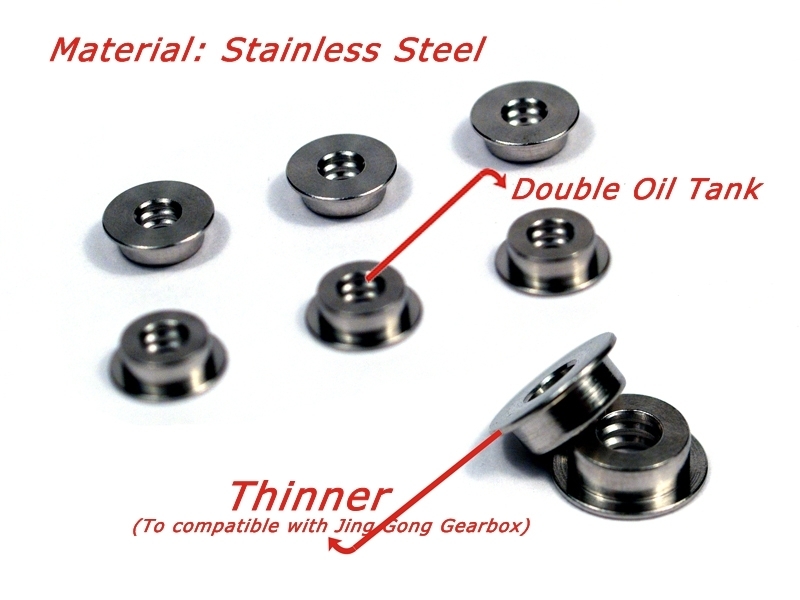 Owing to the dimensions of the Jing Gong (J.G) gearbox is a little different from the stock one, we designed this series of stainless steel bush to fit it. It is a special size, and with a “Double Oil Tank” design. Cheers, have a good day! Army Armament R85 Review Arnie’s Exclusive! Keith from RSOV was kind enough to send us one of his samples to review before the official release. The Army Armament R85 is a Chinese made version of the L85A1, a direct copy of the G&G version that was released earlier this year. 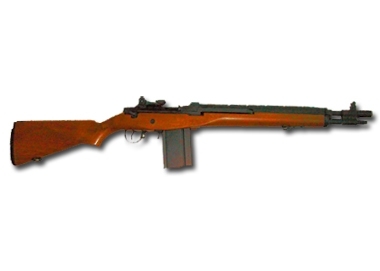 So does the R85 meet the needs of the masses? Find out here. 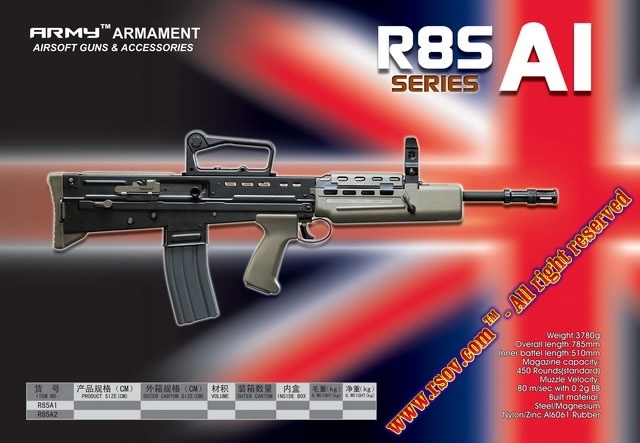 Army™ Armament is new to the Airsoft Industry and the R85 (L85A1) is their second model released on to the market, the first being their AK 47. 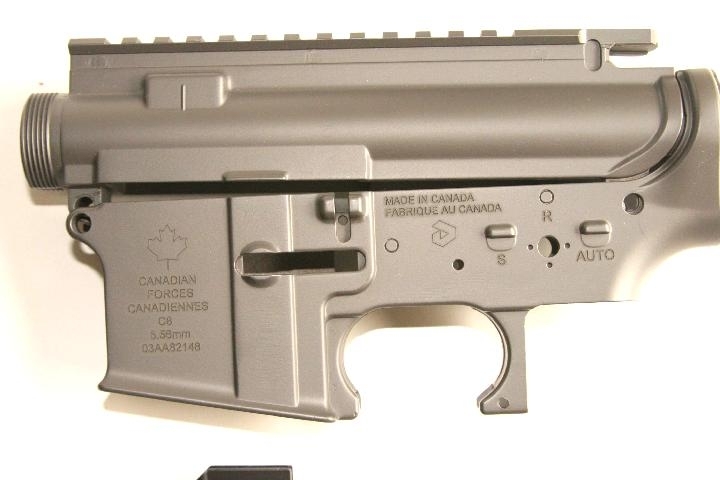 What with companies like Jing Gong and A&K and CYMA already dominating the market with high quality, low cost replicas and the added pressure of the Airsoft community demanding a reliable and cost effect replica of either the L85A1 or A2 Army™ Armament has their work cut out for them. So is the ARMY™ Armament R85 going to cut the mustard, or is it just a cheaper paper weight like the original? While I am watching Project Runway, and my wife is bitching about one of the long hair guy. All in a sudden, I got an email from Inokatsu. This is the new coming kit named X47 Super Kit. I know there is similar product in the market that equips a Armalite stock on an AK body. However, Inokatsu provides the “correct” stamped receiver with the buffer tube now. 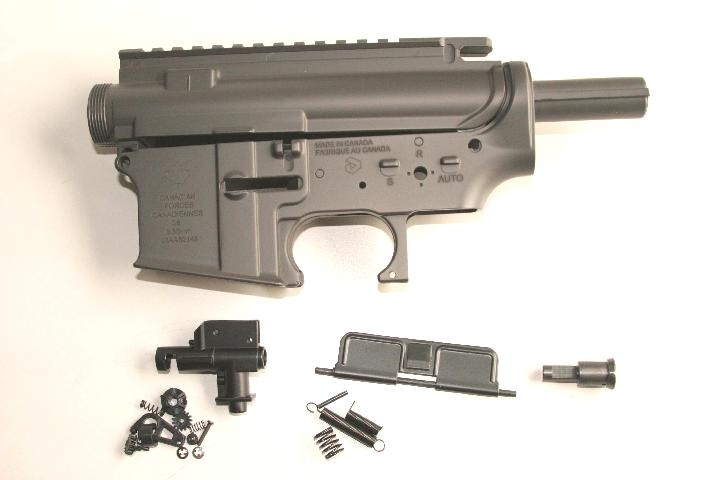 It also comes with the tacticool trigger guard, bolt carrier and safety lever. It’s 100% Marui compatible. The dream for building a X47 comes true now. Get this kit with G&P metal front set and UFC X47 handguard you will have a full SOPMOD AK that is hot in the city. Price is quite attractive and I will set the price at US$235. 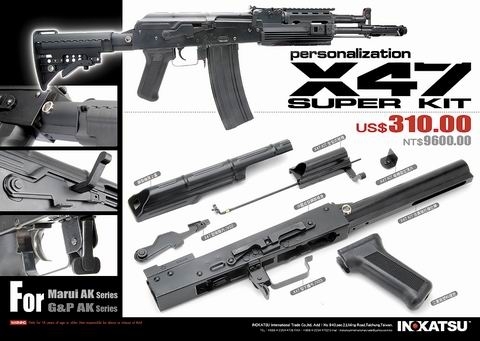 With this kit, not only SOPMOD AK can be built, but also Krebs KTR and other tacticool AK is possibile. THE WORLD’s FIRST AMPLIFIER DESIGN FOR AIRSOFT: You can turn up the sound by adjusting the internal tube. 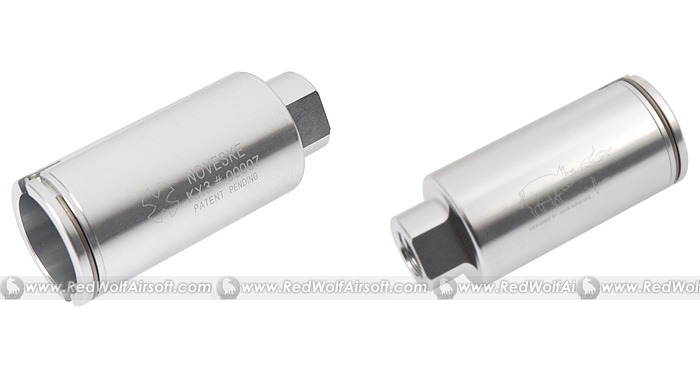 Moreover, by our special design, you can hear the special “Metal-punching” noise when shooting. 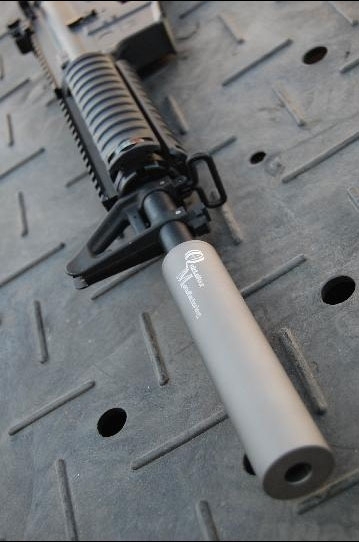 Licensed by Noveske. T-shirt and Hats are available at the same time. After 100000 times punching, our spring has been proofed that the length and force are still consistent. Color coating by special process (Not painting.) Made of premium quality German piano wire. Features: Accurate without jamming and smashing. CQB Scotland’s new home at RAF Edzell has to be seen to be believed! RAF Edzell was home to the US Navy security group’s Monitoring Station. The hub of the base is the massive receiver building which has two levels below ground covering tens of thousands of square feet. This would have relayed information to the computer and communications centre, it now provides the theatre for one of the most adrenaline filled CQB fights you’re ever likely to experience! Above ground the site has multiple extensive buildings with dozens of rooms each and varied layouts (my own personal favourite is the larger pub with inevitable shootouts in the disco). Below ground though – whoah. Dozens of rooms over thousands of square feet some BIG some smaller, main corridors sections and multiple stairwells, all this in darkness perfect for those tac lights, lasers and awesome CQB action or with sections lit with emergency lighting. We are playtesting the bunker on 26/05/07 9:00 for 9:30 start with newcomers welcome (short notice I know – sorry) and playing a full weekender above and below ground on June the 9th and 10th. 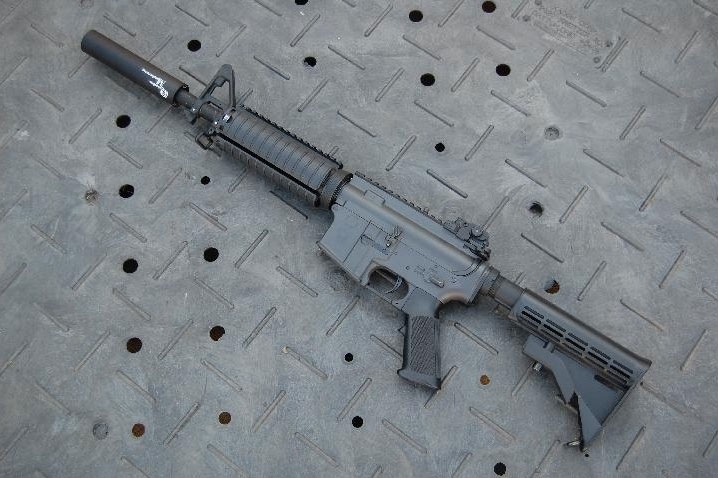 We would like to inform all in the Airsoft Community that the Wolf Armouries retail premises in Camden Town, London was broken into around 2am on 23rd May. A number of Airsoft AEGs, AEPs & Gas Blowbacks were taken. As with the unfortunate event at 6mil Airsoft back in March, our main concern is with the possibility that the replicas taken will be on the streets or be mis-used. the G36 range, and a selection of AEPs and Western Arms GBB pistols. If you see or find and information relating to any of the specific guns above or are offered any suspicious looking or priced guns, please do not hesitate to contact us. Any information leading to the apprehension of the thieves and the return of the stolen goods would be greatly received. You can contact Wolf Armouries on e-mail: info@wolfarmouries.co.uk or telephone 0207 284 0001. Calls and emails will be kept confidential. Wolf Armouries are currently looking to add to our engineering staff. Applicants must be hard working, able to work well within a team, must have excellent knowledge of Airsoft products (AEG internals, gas product internals etc), must be able to find and diagnose problems and be able to help with customers in the shop and over the phone with engineering enquiries. I’ve got a heap more emails to get through, but as I need at least 4 hours sleep before clocking back into work I’ll have to leave them for tomorrow. Bear in mind that shipping is 41 odd quid, but then again it is posted from the East. I look forward to seeing what the build quality of these AEGs is like. 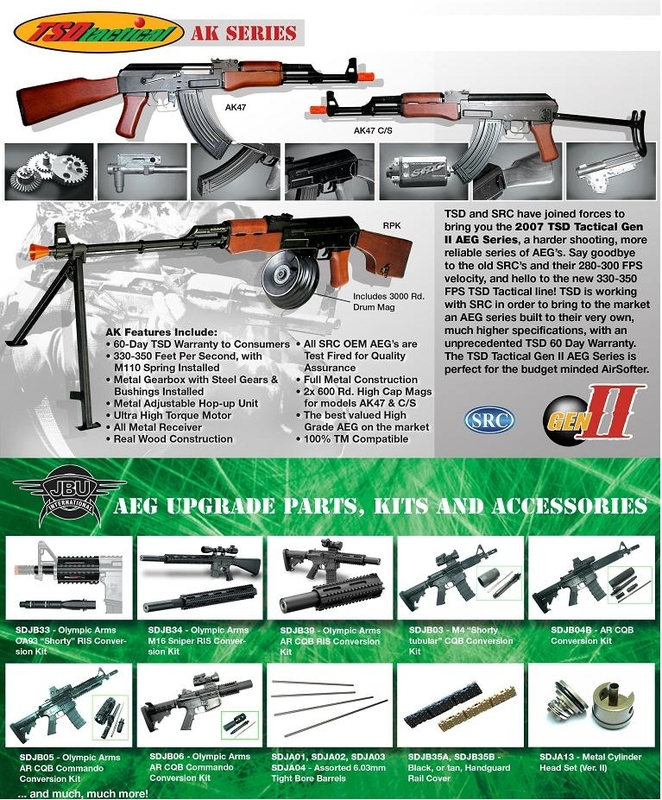 The AEG Electrical Metal AK 47 Assault Rifle is compatible with the Marui parts and accessories. It has a realistic wood paneling. It has a fully working safety with a semi auto with a full auto switch. It comes with an 8.4 volt battery and a charger. Tactical sling is also included. It has a 300 round capacity and can shoot over 300 fps with .12g BB and 240 fps with .2g. The rate of fire is 750-850 rounds per minute giving the shooter awesome firepower. If you think your readers would be interested in this one, a post in your news would be most welcome. 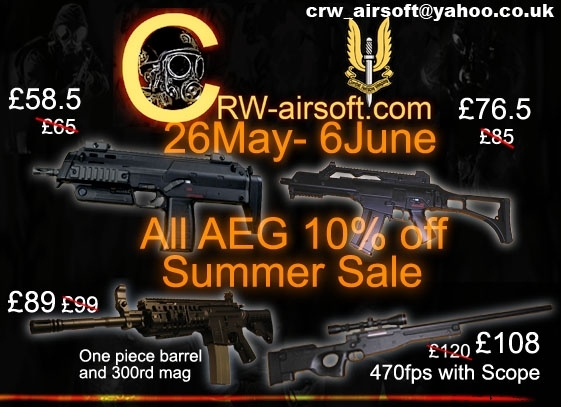 CRW will have 10% off summer sale between 26 May- 6 June for ALL AEG and Sniper Rifle. Please prepare for this event. We will also have F2000 and Full Metal M4 & Full Metal M4 sd shortly. Hi, Here is some ASH BASH news! Team SD and JBU will be raffling off some of these prizes at the ASH BASH. Download/view the current issue here. Thankfully not coming out on the 6/6/06, but rather 6/6/07 are the M14 range from Echo1. Echo1’s brandname is doing well in the US from reports and feedback on the forum, and now over at AirsoftGI you can pickup next month M14 AEGs for 155USD a unit. 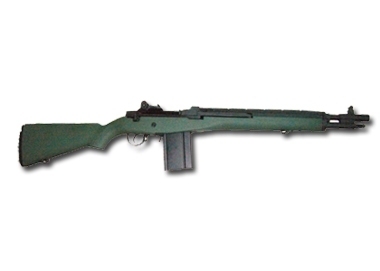 And I remember when the M14s were custom jobs only and the cheap ones came in at 400-600USD! Description:New Echo1 M14 SOCOM CQB! 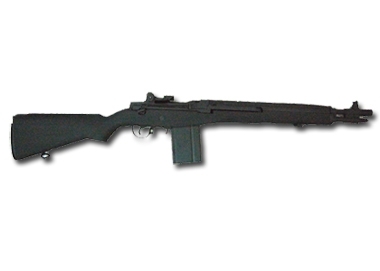 It offers all the benefits of an M14, in a shortened and more maneuverable form. Measuring 946mm, this is an excellent full-size replica to use for CQB as well as in woodland skirmishes. Shoots in semi and full auto mode. Comes with high capacity magazine. The SOCOM has some nice details, such as the micro-ported muzzle break, which adds a nice touch to a beautiful-looking gun. 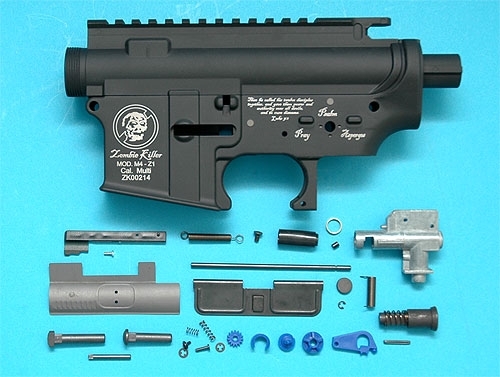 The internal parts benefit from numerous components being made out of metal to make this a solid performer, without adding too much weight to the gun.